Special Program in the ballroom at 8:00 PM featuring past Foot Locker Finalists, special guests, and a film of last year's Championship Races. Note: For all races that are combined, awards will be given separately to each age group. Any boy or girl in grades 9-12 is eligible to run in the Championship Race. There is no seed time. Choice of race is an individual preference that should depend on the best choice for a successful race. Runners must run in the Championship Race to qualify for the National Finals in San Diego. The course is 5000 meters and consists of grass and dirt paths. Spikes are permitted. School uniforms are not allowed. Course is open until dark on Thursday Nov. 23rd and Friday Nov. 24th. The course is closed for warm-ups on Saturday. Mississippi, North Carolina, Oklahoma, Puerto Rico, South Carolina, Tennessee, Texas, Virginia and West Virginia, U.S. Virgin Islands, and U.S. citizens in Overseas Military Installations. Gold state team medals are awarded in each of the high school races. The top five finishers from each state constitutes a team. The top 36 finishers in all high school races are awarded medals. Places 1-12 receive gold medals and are First Team All-South. Places 13-24 receive silver medals and are Second Team All-South. Places 25-36 receive bronze medals and are Third Team All-South. The top thirty (36) finishers will receive medals in the age-group races. Each runner placing in the top 36 in the age-group races and each runner in the top 36 in the high school races will receive two (2) certificates, one to keep and one to give to your school to display. These certificates will indicate that these runners are on the Foot Locker All-South Team. distance traveled, total numbers, and on a first come basis. 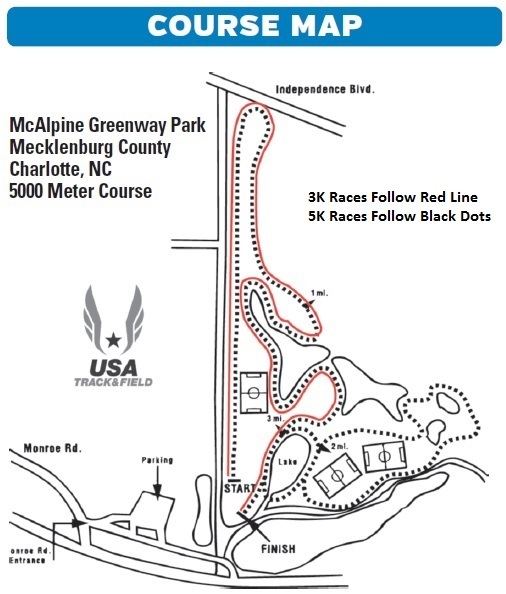 Please notify Max Mayo by e-mail at footlockermax@yahoo.com if you are bringing at least twelve (12) or more runners. Special rates are available from the following area hotels. To receive a special rate, mention that you're with the Foot Locker Cross Country Championships. Call early to reserve. Take Billy Graham Parkway. Exit right for 6 miles. Cross I-77 and the Crowne Plaza is on your immediate right. When this page loaded, the official time was 8:29:30 AM EDT.